People swimming at the pool at 12th Street Gym in Center City. The weather outside during Philadelphia winters can be so unbelievably awful why is it so windy oh my gosh frightful. It can get so chilly that the thought of diving into a pool is laughable. 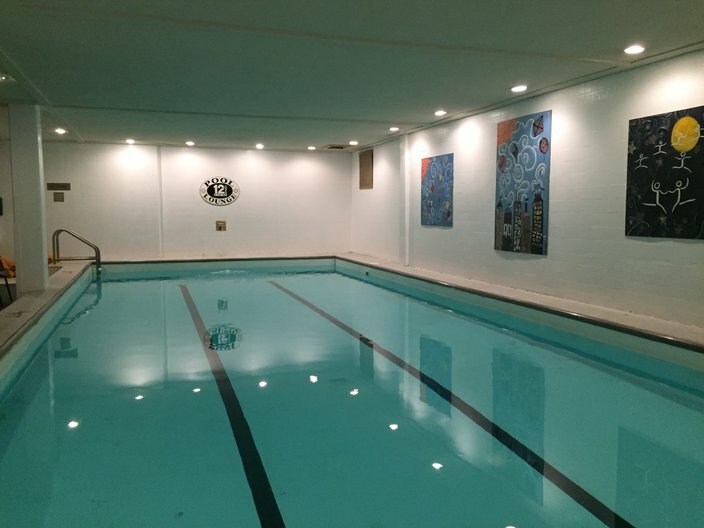 But if you're really in the mood for a swim, there are some quality indoor pools in the city. 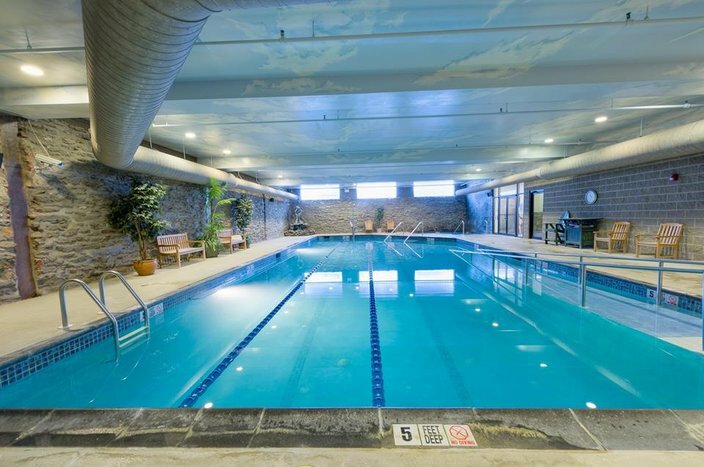 While not common in Philly, there are enough options that whether you're looking to swim for fitness, leisure or are on a budget, you can easily find what you're looking for. Here are five to check out if you're looking to take a dip. No worries, you don't need to be a student to become a member (although if you're enrolled, you get in free). The pool does have limited hours during fall and winter seasons, but hey, if you live in University City, it's better than nothing. It's for lap swimming only, so this is for those looking to get a workout swim in. Adult swimming lessons, which are $100 for five private sessions and $45 for one session (four group lessons) for members not affiliated with the university, are also offered. Located in Mount Airy, FitLife Fitness & Aquatics offers a number of lessons, workouts and swims for whatever you're trying to do. These include endurance drills and core strengthening, just laps, swim lessons and a family swim held two Sundays each month with a lifeguard on duty. Membership costs $99 for a down payment and then $67 a month. You can get swim lessons from what the gym describes as an instructor known for her "teaching skills and aqua expertise." Also, the gym offers children's swimming sessions several times a week, and kids get a discounted membership ($29.95 a month). Membership is $49 a month for adults with a 12-month commitment. Someone splashes into the pool from the water slide at the Salvation Army Kroc Center. In addition to a 10-lane pool, they've got a tubular water slide section (a water slide!) and a warm water jet pool. It should be noted that depending on the pool section you want to use, there are some age requirements -- those under 18 are not permitted in the hot tub, for example. However, PhillyVoice checked and double checked with a representative at the center to make sure there is, in fact, no age limit for use of the water slide. If people judge you, that's on you. They also offer swim lessons. If you're interested in becoming a member, prices can only be discussed in person, so you'll have to head over there to ask. 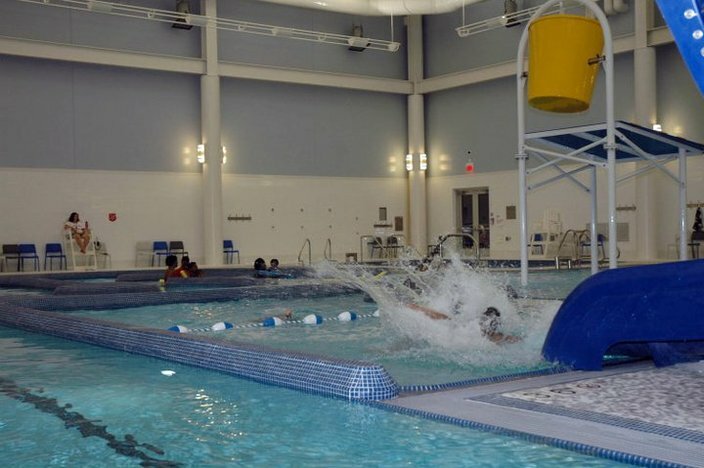 If the whole "actually having to pay" thing isn't your speed, Philadelphia's plethora of public pools actually includes four indoor, year-round facilities. They are (h/t to PlanPhilly): Carousel House at 1701 Belmont Ave., Sayre Morris at 5835 Spruce St., Pickett School Pool at 700 Wayne Ave. and Lincoln Recreation Center on Rowland and Shelmire avenues. For hours and contact information, click the previous links.